October 18, 2017 October 13, 2017 / Bonnie Maly, Esq. You’ve got a client who didn’t get paid for work done on a construction project. You could file a breach of contract action, but there may be other ways to get your client paid, especially if the contracting party who didn’t pay your client is insolvent. There are so many reasons why laborers, suppliers, subcontractors, and general contractors don’t get paid on construction projects. For example, the project might have been severely delayed or didn’t get finished because of bad weather, destruction by fire, construction defects, or other problems. Whatever the reason, your client just wants to get what’s owed. One way to do this is through a mechanic’s lien. It’s a powerful collection tool because the mechanic’s lien attaches to the real property itself once it’s recorded, and then it’s enforced in a foreclosure action, even if the client has no privity of contract with the owner. But pursuing a mechanic’s lien can be vexing. 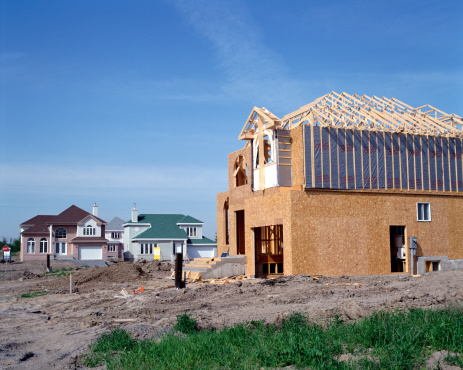 Problems arise because it’s easy to make mistakes along the way in the timing of required notices during construction, in satisfying prelitigation conditions (such as recordation and service of the lien), and in filing the enforcement action. There are strictly enforced timing and notice requirements for all phases of the lien claim. And a mechanic’s lien may be entirely unavailable if there’s insufficient equity in the property. Stop payment notices. These are a form of “attachment” on construction funds held by the lender or owner. Construction bonds. For example, payment bonds purchased at the beginning of the project by the general contractor, a subcontractor, or owner that in essence guarantee that all claims for labor, material, leasing equipment, and services provided to a construction project will be paid. Other statutory rights. For example, prompt payment laws and penalties for late progress payments on a project. All the issues involved with establishing (and then enforcing) a mechanic’s lien or using one or more alternative ways to get paid are fully discussed in CEB’s California Mechanics Liens and Related Construction Remedies. And join construction litigation expert Cathleen Curl in CEB’s webinar Mechanics’ Liens: The Only Game in Town? on Nov. 15, 2017. This program will cover mechanics’ liens as well as alternative remedies and discuss the complex factors that determine how and when they’re available.